401(k), Profit Sharing, 457, 401(a), 403(b), Cash Balance, Defined Benefit, SEP, SIMPLE, Solo-401(k) and Beyond... These are all different types of RETIREMENT PLANS. 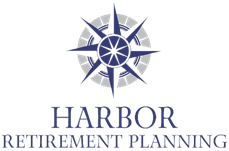 Harbor Retirement Planning specializing in providing plan design assistance, employee financial education, onsite enrollment services and investment advice to plan sponsors. Our client-focused approach is founded on delivering quality, unbiased advice to help plan sponsors implement and maintain outstanding retirement benefit programs. Harbor Retirement Planning is “The Switzerland” of 401(k) and Retirement Plan Advisors. We are independent of ALL service providers and can work with almost any vendor. So, regardless of your vendor - We can Help! It’s Easy! It start with a FREE Consultation and review of your plan. In most cases we take over as “advisor-of-record” on your plan - and help you identify potential efficiencies. Sometimes clients pay us a flat fee based on the scope of work provided. Lastly, in some cases, we change plan vendors and we are appointed as the new advisor at that time. It all depends on your unique situation. 401(k) Plan - A qualified plan established by employers to which eligible employees may make salary deferral (salary reduction) contributions on a post-tax and/or pretax basis. Employers offering a 401(k) plan may make matching or non-elective contributions to the plan on behalf of eligible employees and may also add a profit-sharing feature to the plan. Earnings accrue on a tax-deferred basis. Profit-Sharing Plan - A plan that gives employees a share in the profits of the company. Each employee receives a percentage of those profits based on the company's earnings. 457 Plan – A non-qualified, deferred compensation plan. Employer-sponsored retirement savings plan, usually offered by municipalities and governmental entities, which allow employees to defer a portion of their current compensation for payment at a later date, generally retirement. Salary deferrals (or contributions) are voluntary, and are made through the ease of payroll deduction. Under this plan, contributions and earnings accumulate tax-deferred and withdrawals are taxed as ordinary income. This plan offers an important supplement to pension plans and/or Social Security. 401(a) Plan - A money-purchase retirement savings plan that is set up by an employer. The 401(a) plan allows for contributions by the employee, the employer, or both. Contribution amounts, whether dollar-based or percentage-based, eligibility, and vesting schedule are all determined by the sponsoring employer. Funds are withdrawn from a 401(a) plan through lump-sum payment, rollovers to another qualified plan, or through an annuity. A 401(a) plan does not affect a participant’s 457 Deferred Compensation plan or the amounts that can be contributed to it. 403(b) Plan - Available to employees of certain tax-exempt organizations or public educational institutions (usually schools and hospitals). This voluntary plan allows employees to defer a portion of their current compensation for payment at a later date, generally retirement. Salary deferrals (or contributions) are made through the ease of payroll deduction. Under this plan, contributions and earnings will accumulate tax-deferred. Withdrawals from a 403(b) program are subject to ordinary income tax, and if taken prior to age 59½, a 10% federal income tax penalty may apply. Cash Balance Pension Plan - A pension plan under which an employer credits a participant's account with a set percentage of his or her yearly compensation plus interest charges. A cash balance pension plan is a defined-benefit plan. As such, the plan's funding limits, funding requirements and investment risk are based on defined-benefit requirements: as changes in the portfolio do not affect the final benefits to be received by the participant upon retirement or termination, the company solely bears all ownership of profits and losses in the portfolio. Define Benefit Plan - An employer-sponsored retirement plan where employee benefits are sorted out based on a formula using factors such as salary history and duration of employment. Investment risk and portfolio management are entirely under the control of the company. There are also restrictions on when and how you can withdraw these funds without penalties. Also known as "qualified benefit plan" or "non-qualified benefit plan." SEP, SIMPLE and Solo-401(k) - Plans are available to sole proprietors and small business owners as a way to shelter current income from federal taxation while saving dollars for retirement. Depending on the employer’s goals and the size of the business, Harbor Retirement Planning can help identify the plan that’s right.